Air Force jet fighter jocks defending America over the artic skies in the 1950s and worldwide airlift missions including Vietnam in the 1960s and 70s. 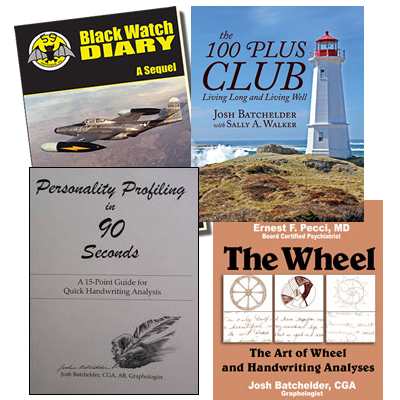 Quick Personality Profiles using wheel drawings, handwriting samples, and the Wheel Projective Technique. Charles Wesley Thiery (1850-1958), a celebrated centenarian, is an inspiration to live long and live well. Josh’s strategies show you how to lower your virtual age in months. Josh is an experience based speaker who delivers exciting, interactive, entertaining and inspirational programs. From Josh’s Harvard University education in Social and Personality Psychology (AB) and becoming a certified Graphoanalyst (IGAS, in 1976), he was well prepared to conduct on-board presentations for major cruise lines. Starting in 1999, Josh has been an entertainer for Celebrity, Princess, Royal Caribbean and Norwegian.